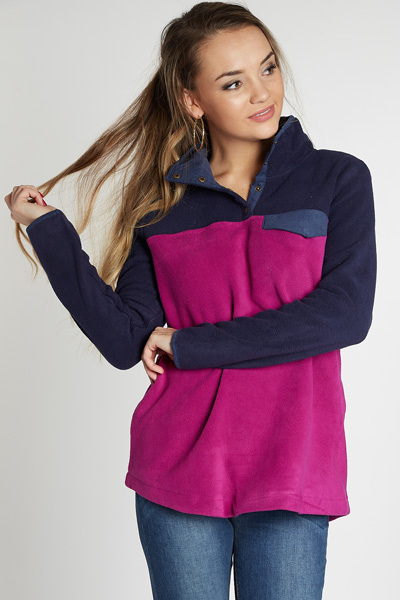 ChChannel your inner tomboy style with this fleece pullover! 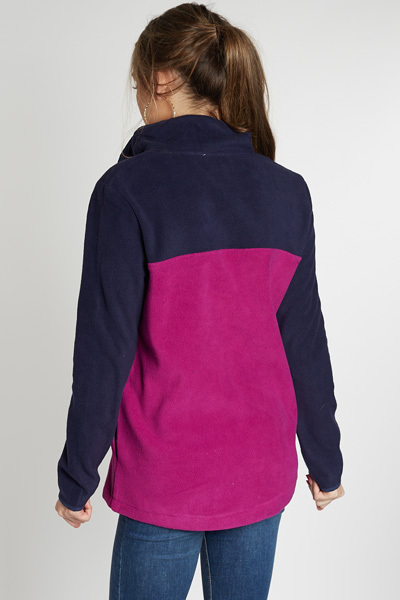 The magenta hue adds a feminine touch, and the cozy fabric will keep you feeling nice and toasty all season. Also features side pockets and standing collar with snap closures.